I was reminded of Tebbit’s test on a recent visit to Santa Fe, New Mexico. The hotel bartender, hearing my accent, told me his favorite soccer team was Manchester United. I know little about soccer, but enough to know that Manchester United is a Premier League club, possibly the Premier League club, and attracts a global following—659 million fans, according to data provided by a market-research company hired by the team. The company reckoned there were 108 million Man U fans in China, 35 million in India, 33 million in Nigeria. Many treated the overall figure with skepticism, but nobody doubted that a soccer club based in a northern English city had achieved a massive international fan base. The young bartender was from Mexico, an immigrant to the United States, and had never been to Britain. I asked him why he supported the team, and he said he was a big fan of Wayne Rooney. He admitted, though, that a friend had recently been talking to him about another British team, Aston Villa, and he was thinking that he might switch allegiance. I lived in England during the 1970s. In those days, you didn’t choose which team to support as if you were picking from a menu; you supported the team where you lived. You might support a club in a town or city where you were born or where you’d spent part of your life, but that was as far as it went. This is why, on questions of allegiance, people often talk about soccer as a “tribal” game. Sociologists used the word “tribe” particularly when hooliganism in British soccer reached its height in the 1980s. A tribe is something you’re born into, that you defend. The soccer violence of the 1980s was carried out by tribes of young men who traveled from game to game and into each other’s territory to wage war. To talk to the bartender in Santa Fe was to hear something entirely different. Here was someone choosing the tribe to which he wished to belong. What’s more, the tribe welcomed him and its tens of millions of global members. As the BBC noted, the announcement of Manchester United’s massive fan base coincided with the launch of a share offering on the New York Stock Exchange. The team was looking for new sponsors who’d be excited by the size of its potential reach. Manchester United would benefit from all these additional members to its tribe. Way back, tribes were key to survival. Humans joined into groups, pooled labor, shared care of their offspring, protected each other from wild animals and from rival tribes. Tribes were about resources—maximizing, protecting, sharing. You were a member of your tribe by birthright, typically by being born to other members of the tribe and in the tribal lands. But when it was beneficial, the tribe welcomed more people in; at other times, it might decide that limiting membership was in its best interests. The Jim Crow “one drop” rule, by which a person’s race (in this case, read “tribe”) was determined according to whether they possessed a single drop of African blood, is a case in point. In modern tribes as in ancient ones, the demand for new members is typically determined by labor needs. The European Union ideal has been to break down tribal barriers and enable the free movement of people. Nearly a decade of economic hardship, though, has taken its toll. In June, Britons voted themselves out of the EU. Marine Le Pen, leader of France’s far right, would take her country the same way. Donald Trump’s anti-immigrant rhetoric has found favor with white voters. The tribal chiefs, or would-be chiefs, propose redrawing the boundaries. Some psychologists play a game with clients in order to understand how people identify themselves and their priorities. They ask the client to answer 10 times without hesitation the question “Who are you?” I’m guessing that for most people, a couple of things come pretty high up on the list: family, very likely, and nationality too. As I said, the test is one of identity and priorities, but also loyalties. Norman Tebbit’s cricket test was a question of loyalty. If you want to be in the club, he was saying to Britain’s immigrant populations, you need to demonstrate your loyalty. The thing about the cricket test, though, is that it plays both ways. Around the time Tebbit made his controversial statement, I had a conversation with the athlete Linford Christie, who emigrated from Jamaica to Britain when he was 7. He went on to become an Olympic gold- medal winner running under the Union Jack. He joked that when he won a race, the newspaper headlines declared: “Britain’s Linford Christie wins gold.” But when he lost, the headlines in the same papers referred to him as the “Jamaican-born Linford Christie.” When it comes to questions of loyalty, each side may be called into question. I reject the hyphen, which looks far too much like a minus sign to me: black minus British, Irish minus American. The nature of the discussion has changed somewhat since Tebbit, but what’s remarkable is how little so. We’re still locked in the same debate regarding who belongs and on what terms. According to reports, Britain saw a 57 percent rise in reported hate crimes in the week following the Brexit vote; it seemed that a section of society now felt free to express racist views. What was different this time was that the venom was directed not just at black people and Muslims but at white-skinned Poles, who bore the brunt of the accusations of taking local jobs. The 1990s marked the start of much questioning around issues of identity in Europe. Post-9/11, the focus shifted from the immigrant population to the dual-passport holder. Early news reports following the 2015 bombings in Paris focused on whether the perpetrators had dual passports. For governments, the dual-passport holder, whose split loyalty is evidenced by having two nationalities, is even more problematic than the ordinary immigrant. At certain times in my life, I have held more than one passport. I have my British passport, the passport given to me at birth because of my place of birth and my mother’s nationality. I have also held a Sierra Leonean passport, for which I am eligible on the basis of my father’s nationality. The experience of having two passports can tell you a lot about the state of the world, especially for people traveling between developing and developed countries. Say I’m traveling from London to Freetown. I book my ticket using my British passport, partly because that’s the passport I most often use, but also because non-British passport holders must give details of their right to reside in the UK, which of course I have automatically. At check-in, the clerk will want to see my visa for Sierra Leone, at which point I show my Sierra Leonean passport. Now the passport numbers on the ticket and on my travel document don’t match. When I arrive in Sierra Leone and show my Sierra Leonean passport, the immigration clerk searches it for evidence of my right to live in the UK and, unable to find it, questions me. Back out comes the British passport. The return journey is more complicated; leaving Fortress Europe is easier than getting back in. I need to depart on my Sierra Leonean passport, but I don’t have a visa for the UK in it. Equally, I don’t have a visa for Sierra Leone in my British passport, which the immigration officer will want to mark with an exit stamp. Everything I’m doing is perfectly legal, but it creates confusion and a good deal of suspicion; on at least two occasions, I’ve been taken aside and questioned. Let me just throw into the mix that at one point in my life I’ve had a third passport. It was a New Zealand passport, for which I became eligible when my mother married a New Zealander, when I was 5. At the time, New Zealand was keen to bolster its tiny population; there was even a joke that the country had more sheep than people. The tribe needed to grow, so New Zealand made it easy to become a citizen. Nowadays, that New Zealand passport is for all practical purposes impossible for me to use. The one time I tried to get into New Zealand with it, I was questioned: On which island had I lived? Where had I been to school? I was honest—I said I’d barely set foot in the country in my life, but the government had been kind enough to offer me a passport nonetheless. In response to the new anxieties created by the dual-passport holder, namely threats linked to terrorism, Britain has passed a law to allow naturalized citizens convicted of terrorist activity to be stripped of their citizenship. Canada recently began invalidating the passports of naturalized citizens who go to fight in the Middle East. In the United States, Senator Ted Cruz has proposed similar laws. And yet nothing I’ve read suggests there are substantial grounds for believing that the main perpetrators of terrorism are dual-passport holders; if my experience of owning more than one passport is anything to go by, we move through the world no more easily than anyone else. The new laws, rather, are designed to appease the wider citizenry, to show that something is being done: a crackdown on those with shared loyalties. Like Dalmia, I self-identify as belonging to more than one culture. I have fought for at least a decade with newspapers about how my national and ethnic origins should be described. I reject the hyphen (the term “hyphenated identity” was first struck by Horace Kallen in his 1915 essay “Democracy Versus the Melting Pot”), which looks far too much like a minus sign to me: black minus British, Irish minus American. Always, I ask to be described as British and Sierra Leonean. I did this after many years of being described in various ways: British-born Sierra Leonean, British of Sierra Leonean origin, or—erasing my Scots mother from the picture altogether—simply as Sierra Leonean. (Notably, never have I been described by British papers as Scottish.) But I am both. I belong to both worlds; not just culturally but physically, I move between them. I have family in both, own property in both, have paid taxes in both. I now live in the United States, where I also pay taxes. As a so-called transnational, I belong to a growing class of people. If we should, as I argue, separate the transnational identity from the hyphenated identity, I would say the difference lies in a few specifics. The hyphenated identity is created defensively, in opposition to a dominant culture that does not fully accept its hyphenated members, who typically belong to immigrant or minority groups. The transnational may be an immigrant or have immigrant parents or parents from two nations, but she crucially chooses to retain links with both, often moving between the two. This is Pico Iyer’s Global Soul—self-realized, self-confident, and freer from anxieties about belonging than the hyphenated identity. The hyphenated identity is effectively bestowed, its members excluded from the single national identity. The transnational actively claims more than one culture, locality, and home. When asked the psychologist’s question “Who are you?,” the transnational produces a multiplicity of answers relating to nationality and ethnicity and sees no contradiction. British and Sierra Leonean. African. Londoner. Current resident of Washington, DC. The self-identifying transnational poses a potentially greater threat to structures of power and cultural dominance than the hyphenated identity. Let’s go back to Manchester United. While assembling a vast number of supporters suits the team very well, maximizing its potential for income through merchandising and TV audiences, it is nonetheless true that if becoming a Man U supporter brought with it profitable privileges, we would soon see membership policed. The police would be the core members—let’s say the team, the management, perhaps the subscribing members of the official fan club. But it would remain in the team’s interest to hold on to its mass of supporters, right? So there would be grades of membership. The hyphenated identity, imposed as it is from above, does the same job. Not fully American. Not fully British. Not fully eligible for all the benefits of belonging. In the early 1970s, I had my Sierra Leonean passport withdrawn; the country’s emerging autocracy banned dual nationality. Dual nationals are, or at least tended in those days to be, middle-class, educated, and possessed of another perspective—just the kind of people anyone planning to dispossess a country of its democracy least wants around. In times of heightened political tension, identity as nationhood often becomes an either/or question. The hyphenated identity is forced to choose. A few years ago, after the civil war in Sierra Leone, my Sierra Leonean passport was reinstated. Dual nationality for holders of Sierra Leonean passports was allowed once more, a policy instituted at the insistence of the international community, including Britain and America, two countries now removing or threatening to withdraw the passports of undesirable dual citizens. But what if, like the young Mexican I met in Santa Fe, the transnational decides to offer her allegiance elsewhere? What does this mean for the core membership—those who, up until then, were the ones to decide who’s in and who’s out? When denied access to the privileges they feel they deserve, transnationals are considerably more prepared and better positioned to seek them elsewhere. From less powerful groups, from immigrants and minorities, the dominant group may demand greater assimilation; it may require oaths of allegiance, language skills, and the adoption of certain codes of behavior as a condition of belonging. Or it may pursue policies of multiculturalism and choose to tolerate difference to a greater or lesser degree. Accordingly, the hyphenated identity may resist or concede to the different pressures, but ultimately, in the push and pull of cultural might, the hyphenated identity doesn’t greatly threaten the balance of power. The shape-shifting transnational, however, possessor of sometimes multiple identities and an elastic sense of home, is a different beast, one who dares to say: “I am happy to feel mainly or sufficiently at home in several places, rather than entirely at home in just one.” This individual rootedness, which defines its own notions of self and place, carries an authority entirely of its own making. The weakness of government policies of both multiculturalism and assimilation has been to treat culture as fixed. The self-identified transnational sees culture as mutable; she is well-placed to see both the advantages and disadvantages of different cultures, their strengths and weaknesses. No surprise that those artists who stand at the crossroads of cultures have used their vantage point to recognize and explore this mutability both in subject and in form. In my own sphere, of literature, there is Salman Rushdie on religiosity; the novels of Junot Díaz and Aleksandar Hemon reconfiguring the language and style of the English-language novel; Helen Oyeyemi fusing Yoruba myth with the legends of medieval Europe; Laila Lalami, the most recent novelist of many to redirect the focus of colonial history; Hari Kunzru examining the universal origins of religion; myself, deliberating a European civil conflict from the perspective of an African one. Identity is increasingly a matter not of either/or, but of and/but. Nationality no longer comes high up on the list in answer to the question “Who am I?” Religion is already more significant for many. Class, perhaps. Cities. More than half the world already lives in cities, a figure projected to rise to 66 percent by 2050. Cities offer the cosmopolitanism, the fluidity of culture and belonging, that the transnational already feels. In Britain, Londoners voted overwhelmingly to stay in the EU and were later accused of being out of touch with the country. For their part, many Londoners—inhabitants of a city that had recently elected a Muslim mayor—cast the Brexiters as Little Englanders and themselves as internationalists, in touch with the world. Professional soccer players represent some of the world’s most dedicated transnationals. Didier Drogba, who was raised in France and the Ivory Coast, played for Chelsea and Montreal Impact and captained the Ivorian World Cup team. Karim Benzema, a Frenchman of Algerian descent, lives in Spain and plays for Real Madrid at the local level and France at the national level. Alex Song holds French and Cameroonian passports, played for Barcelona and for Arsenal and West Ham in England, and despite being offered the chance to play internationally for France, chose to do so for Cameroon. Diego Costa, born and raised in Brazil, is a naturalized Spanish citizen who plays nationally for Spain and even represented it in the World Cup hosted by Brazil; the rest of the time, he plays for Chelsea in England. Anderson Luís de Souza, better known as Deco, was born in Brazil, played for Barcelona and Chelsea, became a naturalized Portuguese citizen, and played on Portugal’s World Cup team. A self-chosen transnational identity may be the only sane response to the precarious position of the formerly hyphenated identity. Identity is increasingly a matter not of either/or, but of and/but. Transnationalism isn’t new, but its conditions have changed due to greater ease in the flow of capital (including human capital) and in transport and communication links. It requires a more sophisticated and considered response from political leaders, many of whom are currently pursuing increasingly nationalist policies—literally, as in the case of Donald Trump, building walls. In all but a very few countries, the collision of racial, political, geographic, and national cultural identities is a thing of the past. So, finally, do I pass Norman Tebbit’s cricket test? The only time I’ve had to make a choice on allegiance was when the national team of Sierra Leone played my local soccer club, Millwall—a team with an unsavory reputation for racism, but which these days also fields players from Trinidad, Jamaica, and the Comoros. I supported Sierra Leone. Like almost everyone I know with one foot in the developing world, my tendency is to support any poor country over any rich one, regardless of whether the poor or the rich country is my own. Maybe I just don’t care enough about either cricket or soccer—or nationality. Or maybe, after years of identifying with the underdog, it’s just what you do. 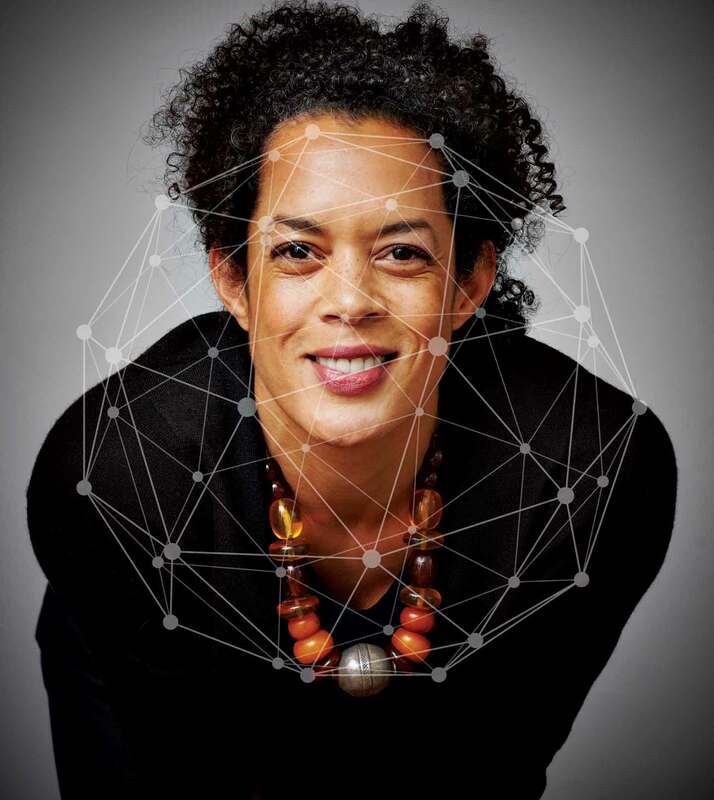 Aminatta FornaAminatta Forna is a writer and currently the visiting chair of poetics at Georgetown University’s Lannan Center.